Author informs Miss Berry that she had sent a box of clothes; she says she was pleased to hear Miss Berry speak on the radio. 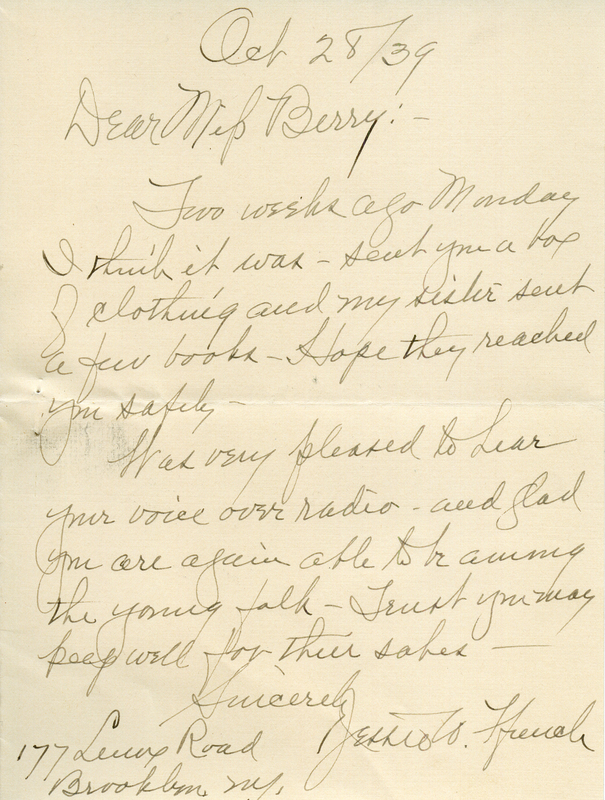 Edith Greich, “Letter to Miss Berry from Edith Greich.” Martha Berry Digital Archive. Eds. Schlitz, Stephanie A., Alan Henderson, Jessica Hornbuckle, et al. Mount Berry: Berry College, 2016. accessed April 21, 2019, https://mbda.berry.edu/items/show/14782.